Pulling the Chair Out from Under Joe Lieberman. One of the big perks of this election, after getting Obama elected, and after all those positive changes that lie in the days to come, was the ouster of Joe Lieberman. He undoubtedly holds the title of “Most Despised Democrat” in the Senate. His betrayal of his party, his slanderous comments about Barack Obama, and his contstant sucking up to John McCain and the Republicans had many Democrats seething, staring at the clock and waiting for the day they could strip him of his key committee chairmanship. Insiders were saying that he was scrambling to keep his Chairmanship of the Homeland Security and Governmental Affairs Committee, which several Democrats who were actually loyal to their party, were champing at the bit to pull from him after the November election. On top of this year’s $100,000, his PAC has donated an additional $30,000 since last year. Will this be enough to change the opinion of those who regard Lieberman as the Benedict-Arnold-turncoat-McCain-hugging-Judas-Escariot-war-monger of the Senate? Is $130,000 the cost of a chairmanship, or will the Democrats ‘pull the Chair out from under him’? In addition, the Senate is perilously close to the coveted veto-proof, filibuster-proof Democratic majority that seemed like a dream until recently. With the races of Begich vs. Stevens, Franken vs. Coleman and Martin vs. Chambliss hanging in the air, things are uncertain. A few Senators have come out in recent days calling for Lieberman’s removal – Senator Bernie Sanders, and Chairman of the Senate Judiciary Committee Senator Patrick Leahy, both from Vermont. “I am one who does not feel that somebody should be rewarded with a major chairmanship after doing what he did,” Leahy said in a Vermont Public Radio interview on Friday. “To reward Senator Lieberman with a major committee chairmanship would be a slap in the face of millions of Americans who worked tirelessly for Barack Obama and who want to see real change in our country,” said Sanders in the statement sent our way by his office. The in-boxes of Democratic Senators across the nation are being filled to capacity as we speak. I don’t have a Democratic Senator…..yet. But if I did, I would be adding to the electronic pile of outrage in my Senator’s email account. This will be voted on by the Senate NEXT WEEK, so time is of the essence if you want your voice to be heard. And I’d like to post again one of my all-time favorite political cartoons for all the Senate Democrats (and those who caucus with them) except for the two distinguished gentlemen from Vermont. Vote Count in Alaska – Volunteer Opportunity! For all Alaskan Mudflatters, here is an opportunity to participate in the final vote count. No, our election is not over yet, and all the early votes that came in between October 31 and November 3, plus a steady stream of absentee ballots being received by mail, and “question” ballots still need to be counted. Vote monitors are needed to help in Fairbanks, Juneau, Wasilla, Nome, and Anchorage. Thanks for considering one last way you can participate and help every vote be counted in this historic election! More on Alaska’s ‘Puzzling’ Election Results. The Anchorage Daily News has now gotten on the bandwagon casting a critical eye on Alaska’s “puzzling” voter turnout. Did a huge chunk of Alaska voters really stay home for what was likely the most exciting election in a generation? That’s what turnout numbers are suggesting, though absentee ballots are still arriving in the mail and, if coming from overseas, have until Nov. 19 to straggle in. The reported turnout has prompted commentary in the progressive blogosphere questioning the validity of the results. And Anchorage pollster Ivan Moore, who usually works with Democrats, said Friday that “something smells fishy,” though he said it was premature to suggest that the conduct of the election itself was suspect. With 81,000 uncounted absentee and questioned ballots, some of which will be disqualified, the total vote cast so far is 305,281 — 8,311 fewer than the last presidential election of 2004, which saw the largest turnout in Alaska history. That was the election where Alaska’s selection of George Bush for a second term was a foregone conclusion, though there was an unusually hot Senate race between Sen. Lisa Murkowski and former Gov. Tony Knowles. • Unheard of participation in the Democratic caucuses and strong Republican interest in theirs as well. • A huge registration drive by Democrats and supporters of Barack Obama that enrolled thousands of first-time voters. • Gov. Sarah Palin’s unprecedented bid for vice president as an Alaskan and a woman. • A race in which Republican Ted Stevens, a 40-year Senate veteran, was facing voters as a recent convicted felon against Anchorage’s popular mayor, Mark Begich, a Democrat. • A Congressional race in which Republican Don Young, in office almost as long as Stevens, was seeking re-election after a year in which he spent more than $1 million in legal fees defending against an FBI investigation of corruption involving the oil-field services company Veco Corp. Young’s opponent, Democrat Ethan Berkowitz, had been filmed on the state House floor in 2006 demanding an end to Veco’s corrupt practices weeks before the FBI investigation became known. The news clip played over and over as legislators and then Stevens were indicted and convicted, boosting Berkowitz’s status. The full article, including reactions from pollsters, the Democratic and Republican parties, the Division of Elections, and progressive blogger, Shannyn Moore. The fact that this is on the radar of all those mentioned above is a very good thing. After the last eight years, it’s become more and more difficult for those ‘puzzling’ election anomalies to slip under the radar. 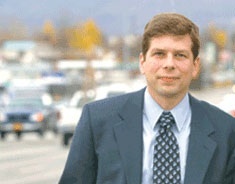 Mark Begich himself set up a legal team to monitor the vote counting to make sure every vote is counted. So on it goes. The election in Alaska is not over yet. 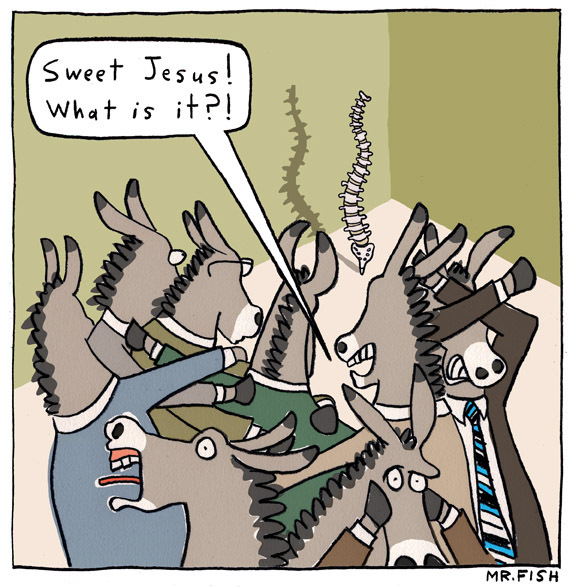 Things May Be Looking Up for Mark Begich. How the man has any stomach lining left, I do not know. But Mark Begich, Democratic candidate for the Senate has been in a holding pattern, 3300 votes behind Republican incumbent convicted felon Ted Stevens since Election night. Although Ted Stevens currently holds a lead of approximately 3,200 votes in ballots counted to date in Alaska’s senate contest, there is good reason to believe that the ballots yet to be counted — the vast majority of which are early and absentee ballots — will allow Mark Begich to mitigate his disadvantage with Stevens and quite possibly pull ahead of him. The reasoning behind this is simple: some early ballots have been processed, and among those ballots Begich substantially leads Stevens. A tally of Alaska’s 40 house districts as taken from Alaska’s Division of Elections webpage suggests that Begich has won about 61% of the early ballots counted so far, as compared with 48% of ballots cast on Election Day itself. Begich ahead in the final count by 3000 votes. For the man who won his race for mayor of Anchorage by 18 votes, this would be a landslide.